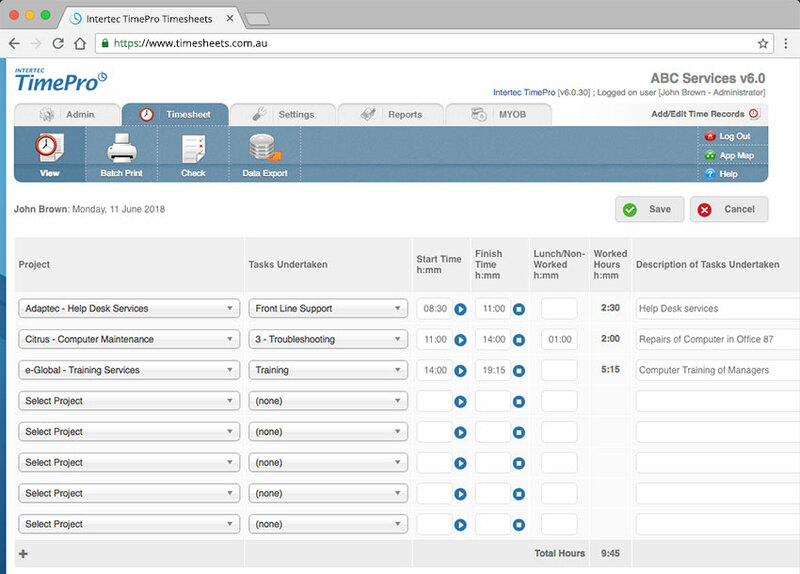 Intertec TimePro In-House is designed to be deployed on your web server, for access via your local network, Intranet or Internet. Purchase Intertec TimePro In-House for the number of user licences you require and install on your web server. Annual maintenance ensures that you receive the latest product upgrades and on-going technical support. Download the installation file from our web site. Very competitive pricing. View licence pricing. Package price includes the first year’s support and maintenance fee. Optional annual support and maintenance fee of 20% of purchase price entitles you to product support and upgrades in subsequent years. 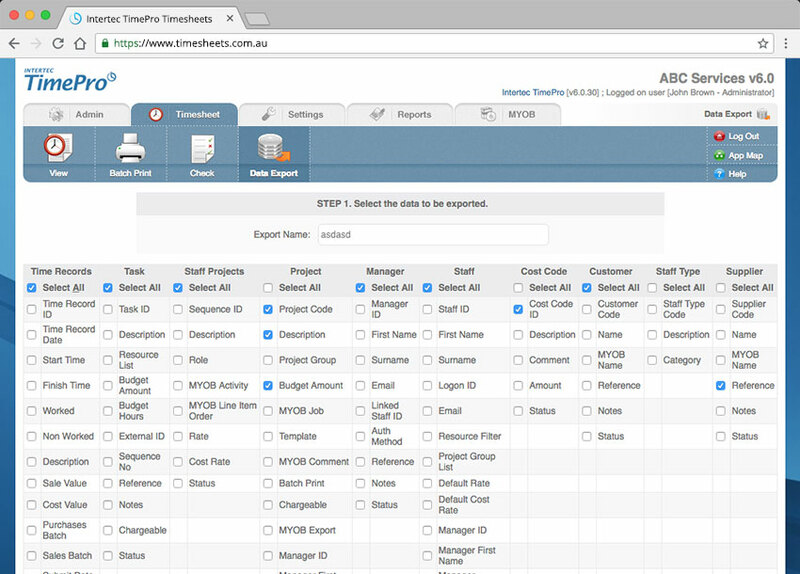 Who should use Intertec TimePro In-House? 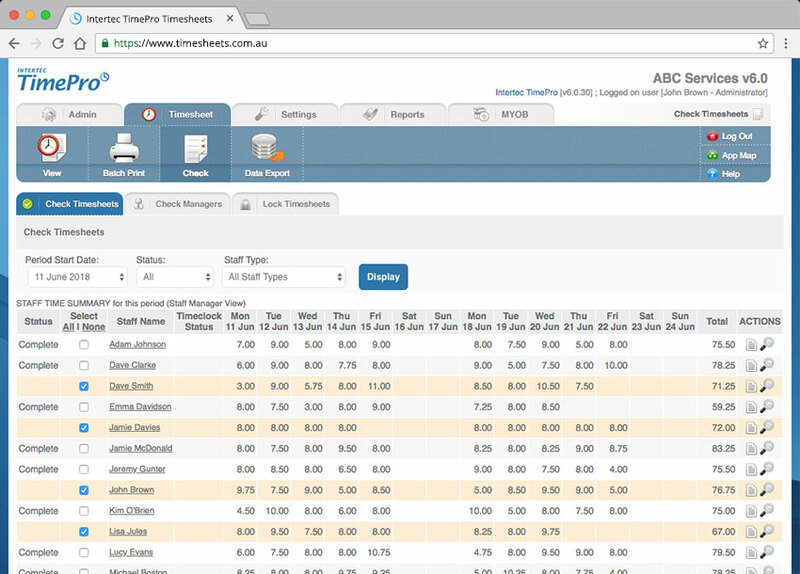 Businesses looking for an in-house timesheet solution which can be accessed via the Web. Businesses with specific timesheet management requirements looking for a smart solution that can be tailored or integrated with other business systems. Medium to large companies or government organisations that need to closely track the times that contractors and staff work on projects. 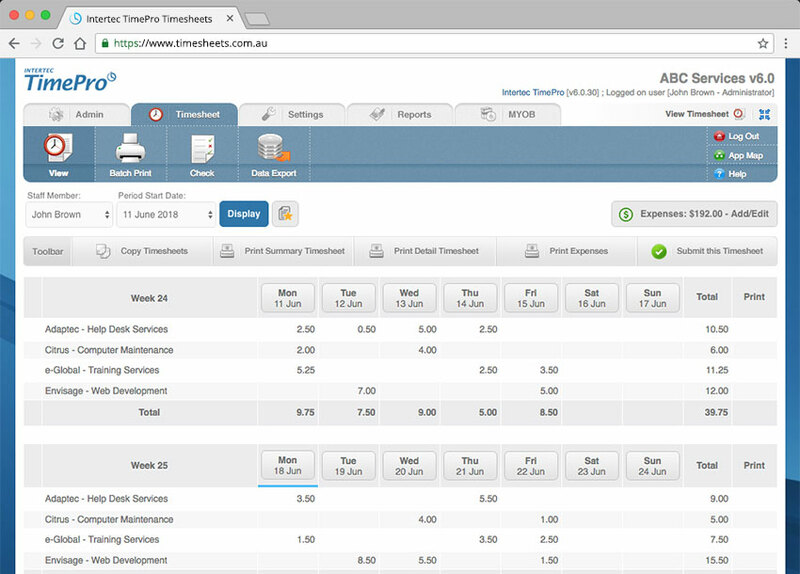 Any business looking for a professional, affordable and easy-to-use timesheet system that is installed on it's own servers. Need a report created which is unique to your business needs? We can build the custom report for you. Consulting fees apply. 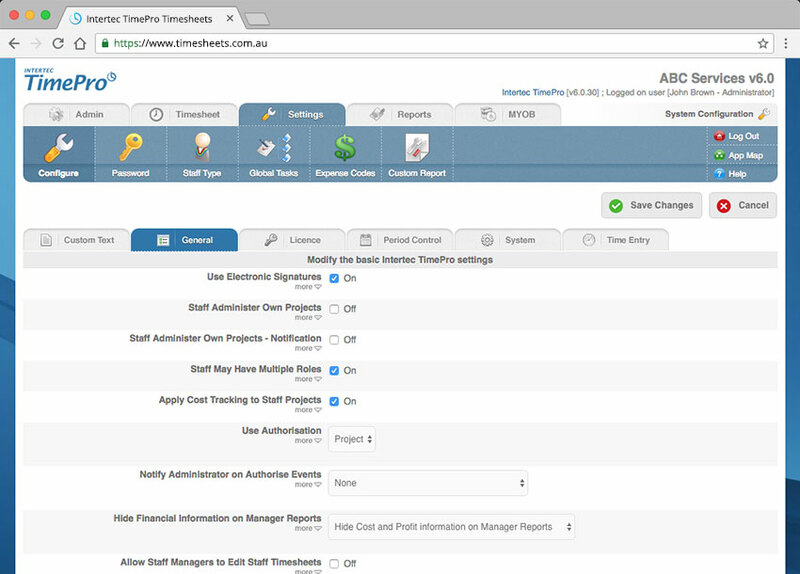 Intertec TimePro In-House will integrate with MYOB, QuickBooks and Xero to streamline time billing and invoice processing. Setup of a custom Hosted solution begins at $3000. To discuss your custom requirements, please Contact us. Information on minimum hardware & software specifications.